Texas providers: Just in time for the Mar. 1 STAR+PLUS MCO managed care transition, we’ve made two significant enhancements to the SimpleCFS™ MESAV process. 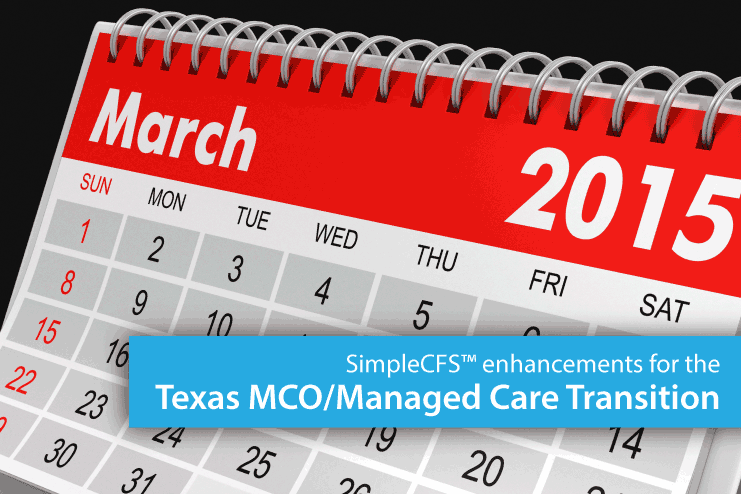 These changes will help you manage your residents’ MCO information and proactively protect your reimbursement under the new Texas Medicaid managed care/MCO structure. SimpleCFS now shows MCO information for effective dates in the upcoming month and the current month. For example, an MCO assignment effective on March 1, 2015 will show at the bottom of the MESAV during the month of February (after it is added by TMHP). This will match exactly what you would see on TexMedConnect. The report has been updated to show the “Add Date” and effective dates for the current MCO as well as any new MCO in the upcoming month, which will help determine which residents are assigned to which MCO. To view this report, go here (requires login) and select Report 8: “MESAV Managed Care”. Be sure to set the date range “End” date of the report to include the first day of the next month in order to see upcoming MCO effective dates in March (i.e., 03/01/2015). We’re here to help! If you have questions about MESAV information or the STAR+PLUS MCO transition, you can reach our support team at 469-916-2803 or support@simpleltc.com. 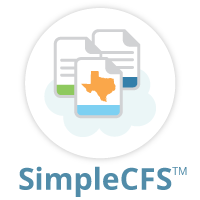 Check out the new SimpleCFS™ MCO features by watching our on-demand webinar, which covers enhancements designed to help you proactively protect your reimbursement. We have lots of helpful Texas Managed Care resources. Check out our MCO resource page for important updates as we all move into the new MCO environment.